Does life feel too much for you right now? Do you wish you could share your concerns and feelings with another person who will not judge you? 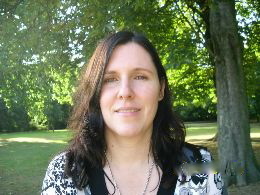 My name is Deborah Davies and I am a practicing psychotherapist and supervisor in Queens Park, North London. I also have a practice in NW2. I am committed to providing counselling and psychotherapy in a safe, confidential and non-judgemental environment. I work with individuals on an open-ended basis or for an agreed time period, with the aim of enabling the client to enhance his/her life and to live it more fully. I also provide supervision for therapists in practice. My counselling and psychotherapy practice is at: 20 Lonsdale Road, Queens Park, NW6 6RD, North London, within easy reach of Willesden Green, Maida Vale, West Hampstead, Notting Hill and Kilburn and minutes from the Bakerloo line (Queens Park) and the Silver Link. My practice in NW2 is a 7 minute walk from either Willesden Green station or Kilburn on the Jubilee line. Initial session is £75 (Queen's Park) and £80 (NW2). Future fees are discussed at the first session. I offer a few low cost places. I charged for missed sessions.